The Russian Club of Brisbane is a little club with a big history. It is Australia’s first and oldest Russian Club, founded by Russian immigrants in the early 1920s. 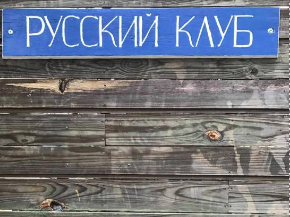 The Russian Club is Brisbane’s beloved home of Russian cultural activities, traditional culinary experiences and community events that celebrate Russian culture and its presence in Australia. Everyone is welcome. Run by volunteers, and on donations and fundraising events, the club receives no funding from any government or council and depends on the support of the community. So become part of your Russian club today. Sign up as a member, hire the club for your event, or come and enjoy one of the club’s events. A few scenes from this weekend's Russian Australian Art Weekend, opening tonight! Free entry, all welcome!